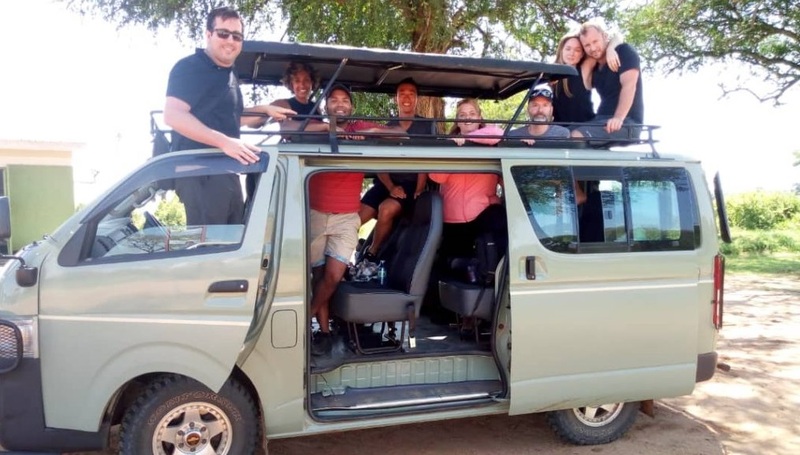 The 5 Days Rwanda Classic Primate Safari is one of the excellent safari packages 0rganised by Prime Safaris and Tours Ltd for you to encounter the delightful primate species protected in Rwanda- the land of thousand hills. The 5 Days Primate Safari will take you through Rwanda’s primate Capital- Nyungwe forest park for memorable Chimpanzee trekking experience; thereafter, it connects you to Volcanoes national park where you will have life time experience of trekking the world endangered species of the mountain gorillas in their natural habitat of Volcanoes national park. The highly rewarding safari starts and ends in Kigali-the Capital City of Rwanda. Day 4 of the 5 Day Rwanda Classic Primate Safari: Do Gorilla Trekking & Musanze Cave tour. Day 5 of the 5 Day Rwanda Classic Primate Safari: Trek to Dian Fossey Tomb & Transfer to Kigali City. Day 1 of the 5 Day Rwanda Classic Primate Safari: Transfer to Nyungwe Forest Park with enroute stopovers at Butare National Museum, Nyanza & evening Cultural encounter. Following an early morning breakfast, you will embark on transfer journey of 225kms about 6 -7 hours’ drive from Kigali to Nyungwe national park. The overland long journey is very fascinating as you will traverse through amazing sceneries all over the route. The experienced driver guide will take you at slow speed to allow you capture the best photographs of the hilly landscape, local people. You will have lunch enroute and a number of stopovers at Butare National Museum, Nyanza (Rukali) as well as Malaba coffee factory, plus other exciting areas. On arrival to the park, you will drive to the lodge to check-in and relaxation. After relaxation, you will embark on an evening cultural encounter with the local people around Nyungwe Forest National Park. The cultural encounter will give you a rare opportunity to interact with the local people in their natural environment, with a taste of their unique culture and traditions. You will be entertained by the Cyamundongo Cultural troupe and after the activity; you will retire back to your lodge for dinner and overnight. Accommodations: Nyungwe Forest Lodge (Luxury /Upmarket), Nyungwe Top View Hote (Moderate /standard), Gisakura Guest House (Budget Lodge). Right after taking a cup of coffee, you will report to the park headquarters for an early morning briefing about the dos and don’ts of Chimpanzee trekking in the loviest forest of Nyungwe national park. Immediately after briefing, you will be led by the ranger guide through the beautiful forest trail to trek the fascinating chimpanzee creatures. Along the trails you may enjoy the nice melodies of different bird species housed in the forest and you may also have chance to enjoy the views of other primates like grey-cheeked mangabey, white &black Monkeys, Baboons. 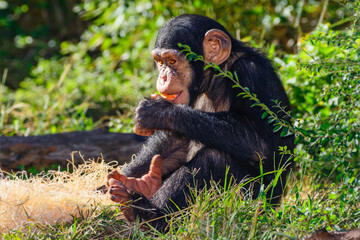 After 2-6 hours of trekking, you may encounter the chimps and once-up-close, you will be allowed to allocated one memorable hour to study the primates. During this time, you will observe them play, feed and rest. After this worthwhile experience, you will head back to the lodge for lunch. After lunch, embark on adventurous canopy walk to see the beautiful twin lakes as well as various bird species. Participate in Nature walks in the ever-green forests of Nyungwe. After these interesting activities, you will retire back to your lodge for dinner and overnight. Depart Nyungwe national park after taking a cup of coffee to Volcanoes national park. The drive distance of 115kms about 3-4 hours without stop overs will take you through rolling winding hills and scenic landscape in Rwanda. Upon your arrival to Volcanoes, you will connect to your pre-book lodge to for lunch and relaxation. After lunch, you will embark on an evening cultural encounter with the local communities around volcanoes national park. The cultural encounter will give you a rare opportunity to interact with the local people in their natural environment, with a taste of their unique culture and traditions. 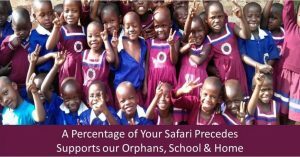 You will visit community schools, local home steads, listen to interesting stories about the local people. After cultural refreshment, entrainment, you will retire back to your lodge for dinner and overnight. On this special day, you will wake up early; take your energy giving breakfast and thereafter, report to the park headquarters for an early morning registration and briefing about gorilla trekking etiquettes in Volcanoes Park. At the park headquarters, you will meet other trekkers and be divided in groups of eight individuals who are allowed to trek one habituated mountain gorilla group. After briefing, you will be led by ranger guide to hike through the verdant jungle to search for mountain gorillas. The activity may take you between 2-8 hours to encounter the apes. When you encounter them, you will be allowed one hour to stay with them, seeing them feed, play and look for their young ones. Right after the one hour, retire back to the starting point and there after transfer to the lodge for late lunch and refreshment. After lunch, embarks on Musanze Cave tour through the tourist walkways, trails and stairs that take you to the dark interior of the caves that illustrates a picture of a house with several rooms and corridors. The tour will provide you with an in-depth understanding of the geological, geographical as well as historical development of the globe. After exploring the cave, retreat back to the lodge for dinner and overnight. Early in the morning, depart your lodge heading for an early morning trek to Dian Fossey Tomb. The trek will offer you unique opportunity to visit the Dian Fossey Tomb and also visit the house where this prominent American researcher was killed from. You will have time to listen to the history of the fallen conservationist, her activities among other interesting aspects. After the exploring the Karisoke Research Centre, you will embark on transfer drive to Kigali. On arrival to the city, the driver guide will take you around to Gisozi genocide memorial center where you will have time to listen to the complete history of Rwanda during the 1994 genocide and the events of the massacres, including personal accounts. Thereafter, the driver guide will drive you to your Kigali lodge or Kanombe Airport for your scheduled flight back home. Queen Elizabeth National Park is understandably Uganda’s most popular tourist destination. The park’s diverse ecosystems, which include sprawling savanna, shady, humid forests, sparkling lakes and fertile wetlands, make it the ideal habitat for classic big game, ten primate species including chimpanzees and over 600 species of birds. The bird species include the black bee-eater, 11 types of king fisher, Shoebill storks and several species of falcons, eagles and other raptors.Set against the backdrop of the jagged Rwenzori Mountains, the park’s magnificent vistas include dozens of enormous craters carved dramatically into rolling green hills, panoramic views of the Kazinga Channel with its banks lined with hippos, buffalo and elephants, and the endless Ishasha plains, whose fig trees hide lions ready to pounce on herds of unsuspecting Uganda kob. The park is known for its volcanic features, comprising volcanic cones and deep craters, many with crater lakes such as Lake Katwe where salt is mined. The national park has Maramagambo Forest and neighbors with Kigezi and Kyambura Game Reserves, Kibale National Park plus the Virunga National Park in the Democratic Republic of Congo (DRC) and Kasese lying on its north-western wing. Bwindi Impenetrable national park is located in South Western Uganda, on the edge of the western rift valley, shared by Rukungiri, Kabale and Kisoro Districts. The Park with its dense ground cover of vines and shrubs is home to the world’s endangered species of the mountain gorillas, of which they are only 880 still left in the entire world and out of this, 400 hundred, are in Bwindi Impenetrable National Park. Bwindi Impenetrable National Park remains the only park in the whole world where mountain gorillas co-exist with wild chimpanzees although there are no trekking chimps since no community has been habituated. 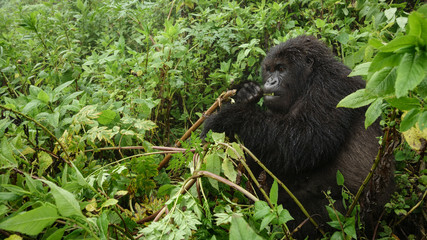 Bwindi is one of the richest areas for flora in Eastern Africa. The forest is also sanctuary for Columbus monkeys, chimpanzees and many bird types including some endangered species. Because of its importance in protecting given bio diversities, Bwindi Impenetrable forest was recognized and up graded to a status of being a world heritage by UNESCO in 1994. Mgahinga National Park is Uganda’s smallest national park situated in the extreme southwestern part of Uganda in Kisoro district. The park is located on the northern slopes of the three northernmost Virunga Volcanoes namely; Mt. Muhavura (4,127 m), Mt. Gahinga (3,474 m), and Mt. Sabinyo (3,645 m). Mgahinga National Park covering an area of 33.7sq.kms was gazetted in 1991 to protect and conserve the species of the rare mountain gorillas that inhabit the park’s hilly dense forests. 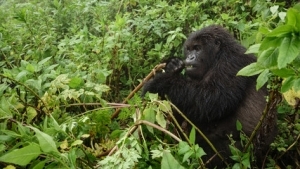 Mgahinga Gorilla National Park is one of the parks in Uganda with an exceptional diversity of habitats, ranging from Afro-montane vegetation; plentiful bamboo vegetation to Lobelia Haegenia which supports the survival of at least 39 species of mammal and 79 birds found in the park. The Larger mammals supported in the natural habitat includes elephant, leopard, buffalo and bush pig but these are rarely seen. The famous ape species supported by the habitat involve the mountain gorilla and the less famous but equally rare and deserving of protection is the golden monkey which is found only in the Virungas and in one other forest in Rwanda. Notable bird species include the Rwenzori turaco, crowned hornbill, black kite and crowned crane. Kibale National park is positioned in the two districts of Kabarole and Kamwenge in western part of Uganda. The park covers an estimated area of about 795km and it’s acknowledged to have one of Uganda’s most gorgeous tropical forests. The park was established in 1993 to help protect the large areas of natural forest that were at first managed and protected as a logged Forest Reserve. 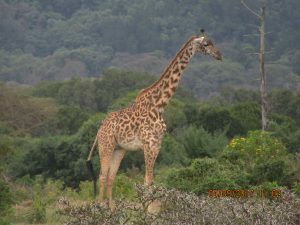 The park is the only Park in the whole of east Africa that has both montane and lowland forests. It’s also considered to the only park in Uganda the pearl of Africa that has the highest number of primates with 13 different species inhabited in the park including many families of chimpanzees and several types of Columbus monkeys. Bushbuck, waterbuck, duiker and giant forest hog may also be seen. The forests and the grasslands support abundant bird life – almost 375 species have been identified and 144 types of butterfly. Mbarara district locally known as the land of milk and honey is situated in southwestern Uganda and is bordered by isingiro, Kiruhura, Sheema among other district. Because of its strategic location, Mbarara town has become a significant stop over town for travellers on Uganda safaris to Bwindi Impenetrable National Park, Lake Bunyonyi and Queen Elizabeth National Park. The district is also key tourism destination in Uganda and the key tourist attractions of the district are given below;Lake Mburo National Park is situated about 240 kilometers south-west of Kampala, 30 kilometers east of Mbarara town. At first, this park was located in Mbarara town but due to the creation of new districts, the park is part of Kiruhura district. In Lake Mburo National Park one can enjoy game drives to view unique wildlife such as buffaloes, Zebras, leopards, impalas, hippos among other animals. One can as well enjoy a highly adventurous boat cruise on the lake Mburo. For travellers who are bird lovers, Lake Mburo National Park is a home to exclusive bird list including rare shoebill stock. Within Lake Mburo national Park, there many lodges where one can spend a night. These include Mihingo Lodge; Mantana tented Camp, Rwakobo Rock, Mburo Safari Lodge, Arcadia Cottages and Rwonyo Camp. This is an extinct volcano located on Uganda’s eastern border with Kenya. The mountain boasts numerous interesting features including gorges, ancient caves, waterfalls and hot springs. 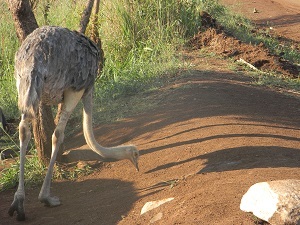 Birdlife is abundant on the mountain although various wildlife may also be encountered. Mt. Elgon is the fourth highest mountain in Eastern Africa, with the second-highest peak in Uganda (Wagagi Peak – 4321 meters). Mt. Elgon contains crater covering over 40 kms at the top of the mountain, surrounded by a series of rugged peaks.The ascent of Mount Elgon passes through a series of roughly concentric vegetation zones. The lower slopes of the mountain are intensively farmed up to the park boundary. The first zone of natural vegetation is montane forest which runs from the park boundary up to 2500m. this is followed by bamboo and low canopy forest (2400-3000m), then high montane health (3000-3500m) which includes the giant heather (Philipea excelsia) growing up to 6m tall. Above 3500m, cold temperatures and fierce winds force the heather to give way to open moorland. Finally, above 3800m, dramatic afroalpine vegetation is found among tussock grasslands and Carex bogs. This rare and spectacular vegetation type is restricted to the upper reaches of East Africa’s highest mountains and includes the giant groundsel (Senecia elgonensis) and the endemic Lobella elgonensisi. Kidepo National Park Tours, Wildlife tours big 5 game drive safaris in Uganda, Safari Uganda tour. Visit and dance with the Karamajong and participate in part of their culture and tradition. This great Park is located in the rugged, semi-arid valleys of the remote Karamoja region in north eastern Uganda between the border of Uganda, Kenya and South Sudan. The park which covers 1,442square kilometers of land is arguably the most diverse fauna of any park in Uganda. With over 77 species of mammal, several of which are restricted to the Kidepo and Karamoja region, the park also has circumscribed carnivores such as the bat-eared fox, cheetah, striped hyena as well as caracal and aardwolf. Other carnivores accommodated in the park area are lion, leopard side-striped jackal, spotted hyena, and black-backed. The rarely ungulates species include the lesser and greater kudu, chandlers Mountain reedbuck, klipspringer and Guenther’s dikdik among others. Other large ungulates include elephant, Rothschild’s giraffe, Burchell’s zebra, bush pig, warthog, Capped buffalo, eland, bushbuck, hartebeest and oribi, Defassa waterbuck, Bohor reedbuck, Jsckson’s hartebeest and oribi. Five pronounced primate species are recorded in the park including the endemic Kavirondo bush baby.